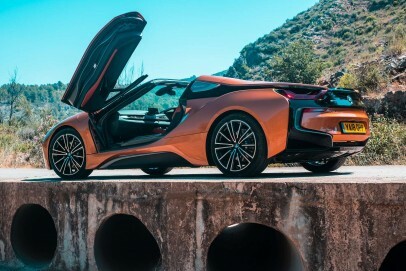 The improved BMW i8 is a hybrid supercar now offered in open-topped Roadster guise as well as in Coupe form and now capable of delivering a 374bhp punch if provoked. Alternatively, it can glide noiselessly along on pure electric power. The quoted fuel economy figures need taking with a grain of salt but if you wanted a vision of the future of sports cars, you're looking at it right here.